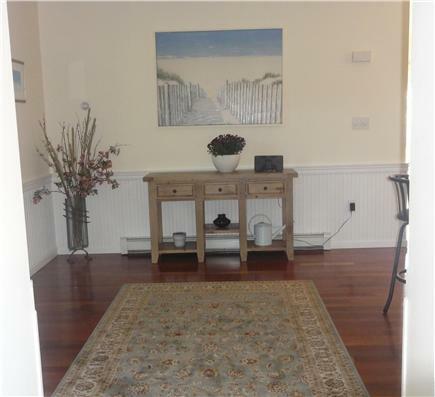 Brand new, fully renovated family home in Oak Bluffs. 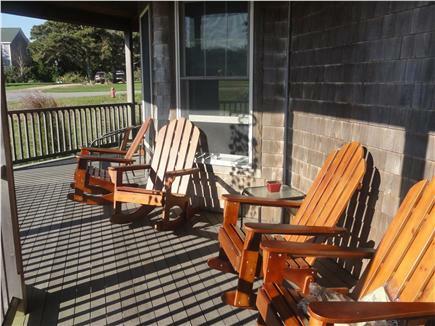 The house is on a very quiet street off of Edgartown Road on over one and half acre of property with a shared pond. 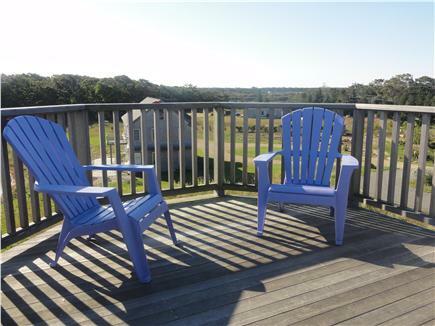 It is a short drive to OB or Vineyard Haven and approximately 1.5 miles to State Beach. 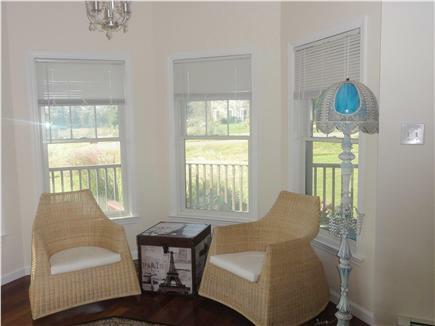 Enjoy the view of the pond from the lovely wrap-around porch. 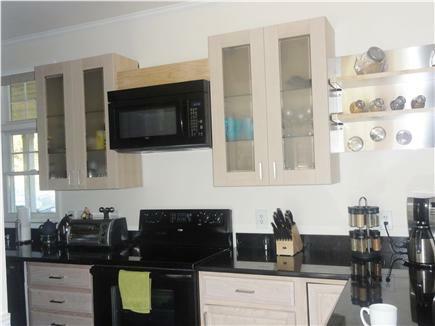 There are hardwood floors and all true towels and linens are brand new. 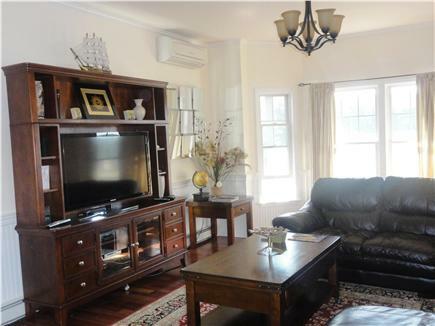 There are 3 flat screen TV's, cable TV, internet, and central air. 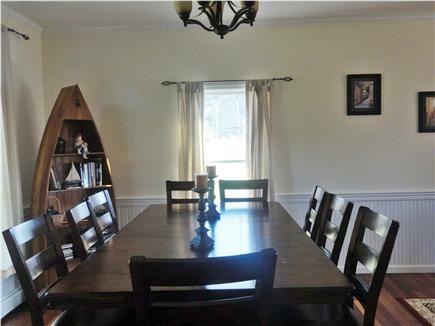 The home has 4 floors of living area, with a finished attic and a basement that leads out to the pond. 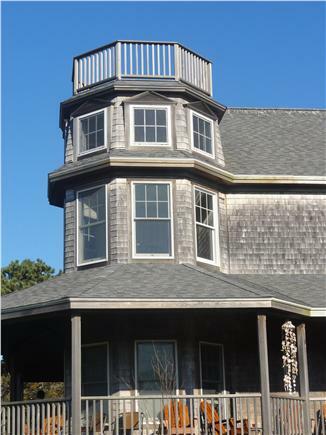 While the back of the house has a huge wrap-around porch overlooking the pond, the attic also features a widow's walk with beautiful 360-degree views. 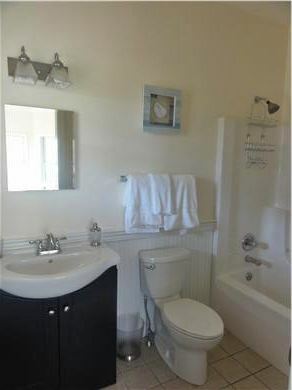 The first floor features one full bed/bath with queen bed, kitchen, guest bathroom, and huge dining/living room area that opens up to the back porch. 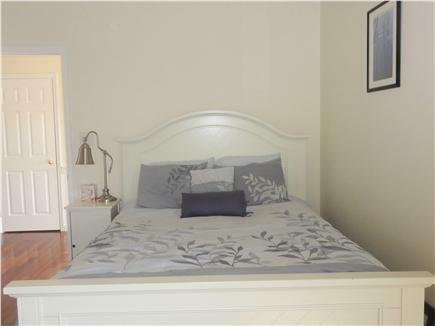 The second floor features the master bed and bath with a king bed, flat-...screen TV, fireplace, and beautiful view of the pond. 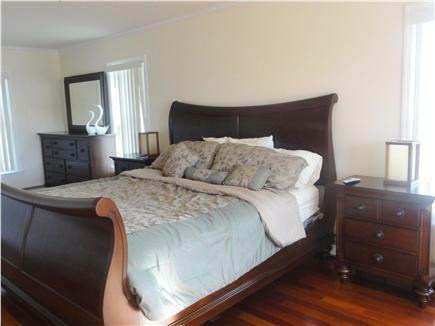 It also has a second bed/bath and beautiful large 2-story round living area. 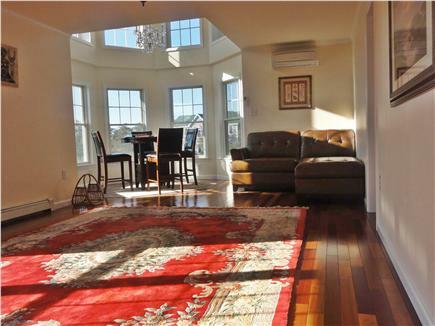 Finally, the finished attic and basement add plenty of room for privacy and enjoyment. 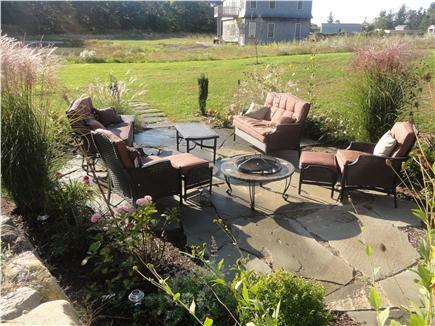 There is a hot tub for seven on the patio for your enjoyment (an absolute family favorite). There is also a fire pit for s'mores and an air hockey table for rainy days. Very small pets considered on an individual basis. 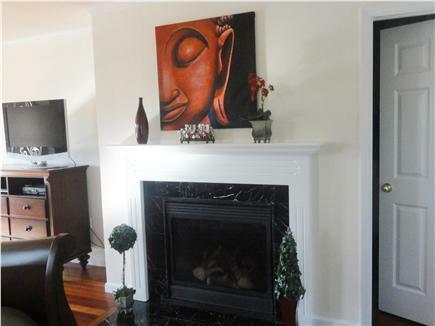 Additional pricing info: Please inquire about discounts for full month rentals. State and local taxes of 11.7% will apply. 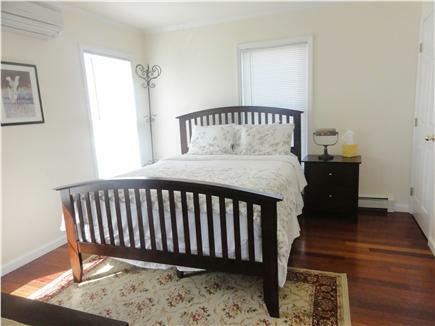 First floor bed and full bath. The house is great. everything you need is here. Owner is very nice and helpful. No complaints. The AC was so nice to sleep on the hotter nights. We had plenty of room for our extended family. I wish I could rent this house again this year! You will need a car to get to town and the beaches. 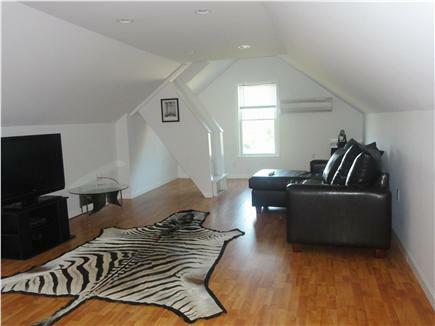 It was nice to get away from the crowds and come back to this house to relax! Thank you. What a wonderful home. It was newly renovated in 2011. My girlfriends loved the house. 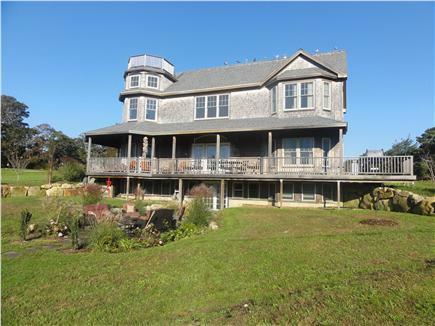 I have stayed many summers on the Vineyard and this is the best house we ever rented.